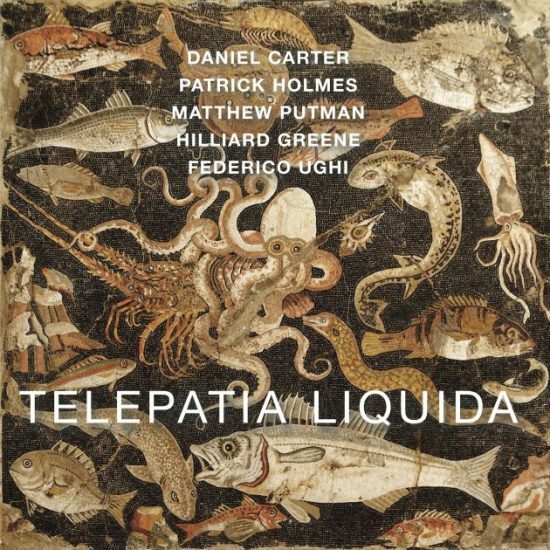 When saxophonist/trumpeter Daniel Carter, clarinetist Patrick Holmes, pianist Matthew Putman, bassist Hilliard Greene, and drummer Federico Ughi joined forces in 2017, “telepathic alliances” were instantly spawned. Fittingly, that was the title these improvising lifers gave to their first recording, an off-the-cuff set that evoked the bracing adventures of pioneering New York free groups like TEST and Other Dimensions in Music. The bond that Carter, Holmes, Putman, Greene, and Ughi share only deepens on this, their second release. Recorded live at the 2017 edition of the Forward Festival in Brooklyn, Telepatia Liquida finds this mightily elastic group essaying bluesy swagger, poetic soul, swinging bebop, and lyrical bliss—usually all within the same track. The program’s three epic-length pieces suggest the freewheeling fireworks of Coltrane’s Ascension, but while the music may be all-improvised, it’s not all skronked-out fury. In fact, structure, form, and focus are manifest from the outset, along with a breezy, meditative resonance and a musical dialogue that’s seemingly effortless. From the moment musician, writer, and jazz promoter James Keepnews finishes his introduction of the band, it takes mere seconds before the quintet’s members fall into lockstep with each other. On the 13-minute opener “Deluxe Light,” they sculpt a sonic architecture that just floats. Ughi’s propulsive beats suggest 1970s German kosmische sounds; think Krautrock meets loft-jazz. 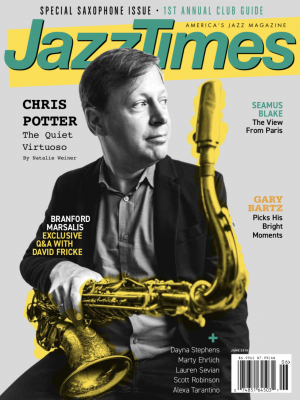 The seven minute-and-change “Shine-a-town” and 13-minute closer “Throne” are just as striking as Carter, Holmes, Putman, Greene, and Ughi stretch out into new zones, always with dazzling interplay. 577 Records, Ughi’s longtime label, has proven to be a haven for the best of improvised music, and Telepatia Liquida—an overlooked gem released late last year—propels that label’s upward surge. Preview or download Telepatia Liquida on Amazon!